Your teeth rank as some of the strongest and most resilient parts of the body. While tooth enamel is actually stronger than bone, a lifetime of crunching, munching and chewing can take its toll. If you’ve suffered a broken, chipped, cracked, crooked, or damaged tooth, our team at Four Seasons Dental Care can provide the emergency dental care Colorado Springs needs. Composite fillings, or tooth-colored fillings, provide patients with long-lasting durability and increased resistance to fracture in small and medium-sized fillings that need to withstand the constant pressure and stress associated with chewing. Composite fillings can be placed in either front or back teeth, and they provide a more natural appearance when compared to traditional amalgam, or metallic, fillings. Unlike amalgam fillings, composite fillings contain no traces of mercury, making them a good alternative to traditional metal fillings. Composite fillings are tooth-colored restorations that prevent tooth decay, strengthen weakened teeth, and look natural. Placing a composite filling can significantly improve the appearance of a tooth. 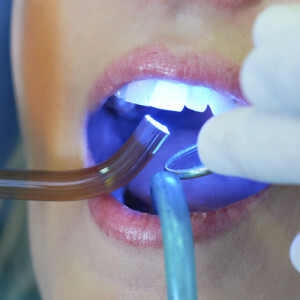 Composite tooth-colored dental fillings come in a variety of shades to match the color of the actual and surrounding tooth structures, and can generally be placed during one visit to our Colorado Springs dental office. Amalgam fillings, or metal fillings, have been used by dentists for decades. While overall they are known to be safe and effective for protecting teeth from further decay, they are a more unattractive option and have some disadvantages. The edges of silver fillings can cause stains on your teeth and gums after many years. The metal of silver fillings can also expand and contract during normal wear, which can cause cracks in your teeth to develop. They can also weaken or break over time, which can result in recurring decay or fracturing of the tooth. Patients who are missing one or more teeth may notice a difference when it comes to speaking and chewing. Dental bridges can help to restore your smile back to the way it once was. 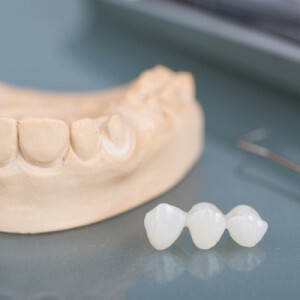 Occasionally referred to as a fixed partial denture, bridges literally “bridge” the gap created by one or more missing teeth with a set of artificial teeth. Bridges can be made from a variety of materials, including porcelain, alloys, gold or a combination of these materials. While a removable bridge can be taken out and cleaned, a fixed bridge can only be removed by our dentists. The type of bridge a patient may need will depend on the current state of their oral health and what our dentist recommends. For patients missing teeth, dentures offer a long-lasting solution for repairing the state of their smile. Dentures provide patients with the ability to once again eat, talk, drink and smile like they did before. 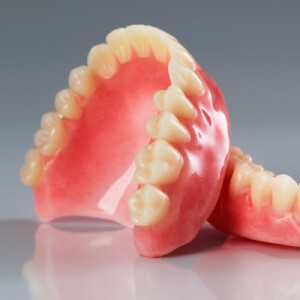 For patients who still maintain some of their natural teeth, partial dentures offer a great solution for restoring their smile, while full dentures help patients with no teeth remaining to regain full function. Our staff at Four Seasons Dental Care has the tools necessary to process all full and partial dentures in-office to ensure the best and most comfortable fit possible.